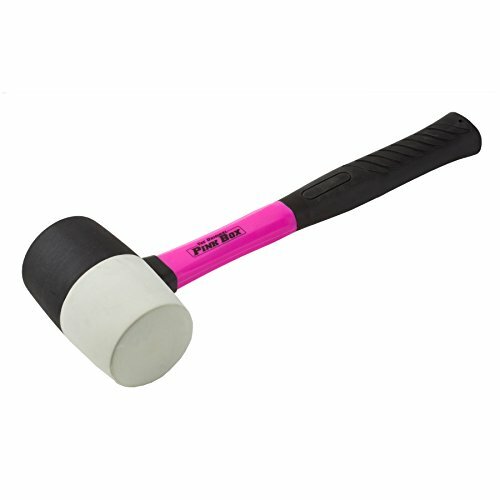 The Original Pink Box 16-ounce rubber mallet has a 16Oz double Faced solid rubber head. The lighter colored side helps to keep your projects mark free. The sturdy fiberglass handle has a cushioned textured non-slip grip so you can swing it with confidence. Pink accents make this mallet stand out from the rest. Get the job done in style with The Original Pink Box. If you have any questions about this product by The Original Pink Box, contact us by completing and submitting the form below. If you are looking for a specif part number, please include it with your message.